Worlds first scuba diving images of a Sleeper Shark! The most interesting fact about this family of sharks is that it has recently been discovered that it is the oldest living animal on Earth with a backbone! Using an unusual dating technique, an international team of biologists and physicists estimated the age of 28 dead female sharks based on tissue in their eyes. Eight of the sharks were probably 200 years or older and two probably date back more than three centuries, with the oldest being over 400 years of age. 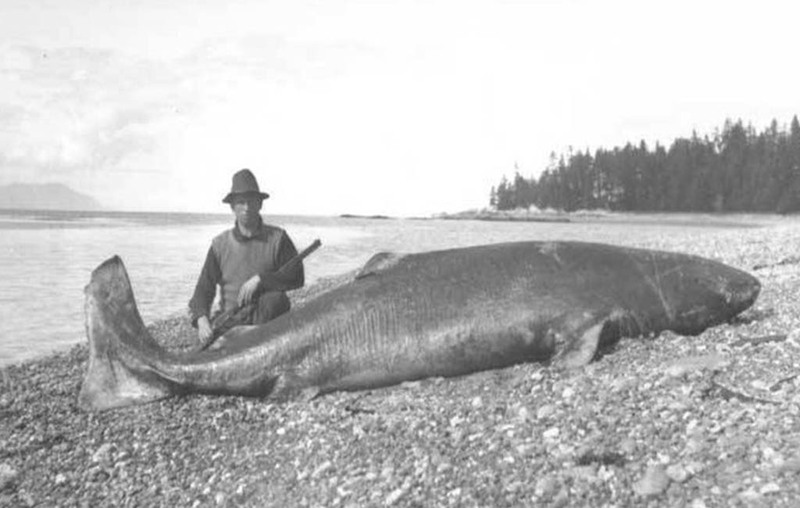 Until now, that record holder was a bowhead whale that hit 211 years old. The Pacific sleeper shark (Somniosus pacificus) is a sleeper shark of the family Somniosidae and closely related to the better known Greenland Shark. Found in the North Pacific on continental shelves and slopes in the Arctic. Its length is up to 4.4 m (14 ft), although it could possibly reach lengths in excess of 7 m (23 ft). 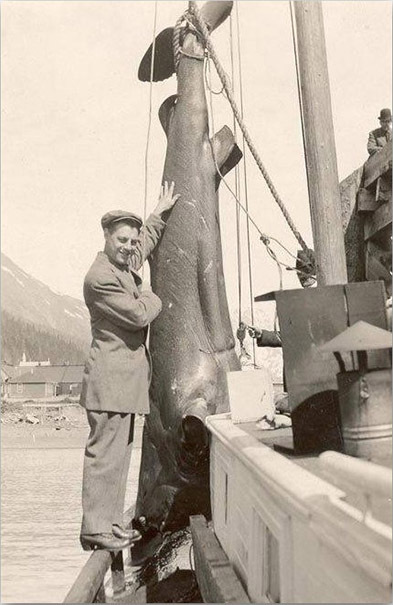 Very little is known about the early life of Pacific sleeper sharks. They are believed to produce eggs that hatch inside the female's body (reproduction is ovoviviparous), but gestation time is unknown and litter sizes are thought to be about 10 pups. Its length at birth is about 42 cm (1.38 ft) or less. Due to living in frigid depths, the sleeper shark's liver oil does not contain squalene, which would solidify into a dense, nonbuoyant mass. Instead, the low-density compounds in the sharks' liver are diacylglyceryl ethers and triacylglycerol, which maintain their fluidity even at the lowest temperatures. Also, they store very little urea in their skin (like many deep sea sharks), but like other elasmobranchs, have high concentrations of urea and trimethylamine oxide (nitrogenous waste products) in their tissues as osmoprotectants and to increase their buoyancy. Trimethylamine oxide also serves to counteract the protein-destabilizing tendencies of urea and pressure. Its presence in the tissues of both elasmobranch and teleost fish has been found to increase with depth. Because food is relatively scarce on the deep sea floor, the sleeper shark is able to store food in its capacious stomach. The sleeper shark's jaws are able to produce a powerful bite due to their short and transverse shape. The upper jaw teeth of the sleeper shark are spike-like, while the lower jaw teeth are oblique cusps and overlapping bases. This arrangement allows grasping and sawing of food too large to swallow. Pacific sleeper sharks have a short caudal fin, which allows them to store energy for fast and violent bursts of energy to catch prey. Sleeper sharks are preyed on by the offshore ecotype of killer whales off British Columbia. In addition, like the Greenland shark, the parasitic copepod Ommatokoita elongata can often be observed consuming the shark's corneal tissue. Sleeper Sharks have been a frequent visitor to the Sound long before the first European Explores set foot on the shores of Alaska. 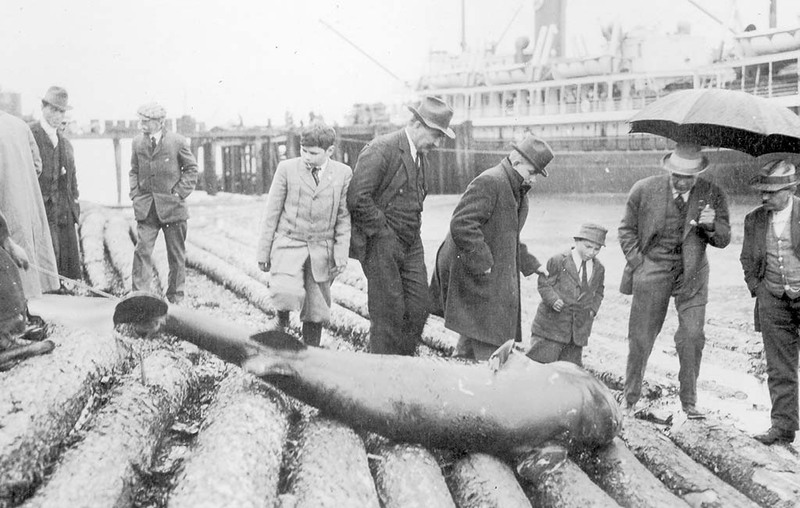 Recorded stories and photo's go back to the early 1900's of fisherman catching these mighty creatures, as they skirted the coastlines in search of food. The native Inuit people named them Eqalussuaq. Like the Greenland shark, its flesh contains trimethylamine oxide, which acts as a natura antifreeze. After human digestion it breaks down into the neurotoxin trimethylamine will cause effects similar to extreme drunkenness and is extremely toxic to consume. Because of this, the Innuit called someone who is drunk ‘shark-sick’. 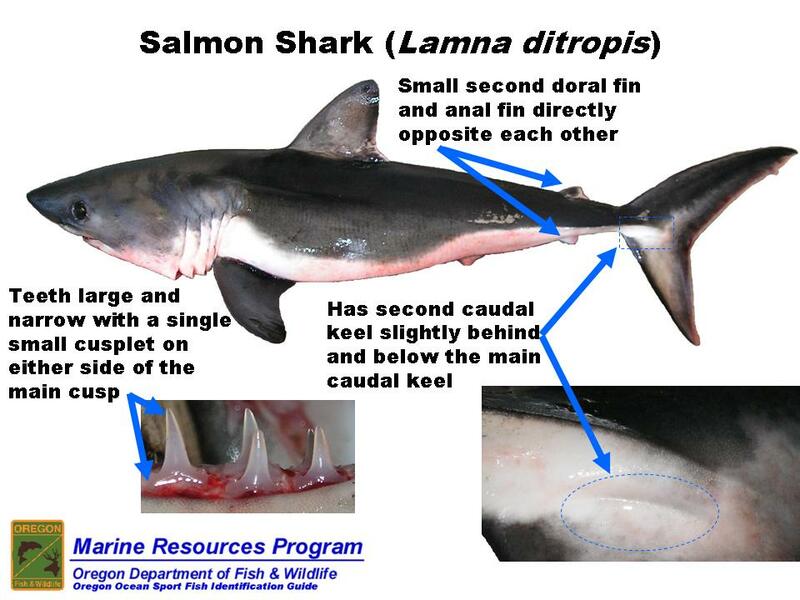 Studies on these fish are not regulary conducted and little information can be found when comparing it to other sharks like the White Shark. 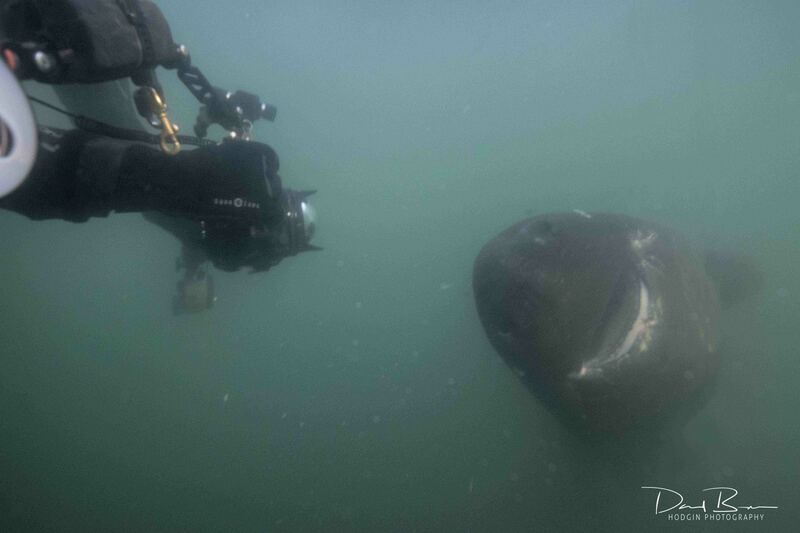 But as interest in sharks as a whole developes, more and more researchers and divers are trying different techniqes around the world with Sleeper, Southern and Greenland Sharks. Although found in deep waters, it was thought that northern territories like the Artic were the only place to study these shy creatures. But in more recent times, researchers have been able to study them in Alaska, Canada and parts of the American west coast. For those studied in Alaska, researches have found parts of moose and polar bear in their stomach. Leaving them to believe one of two things. That they are a an opportunitic scavanger or a deadly ambush predator or both. Sleeper sharks have been known to slip silently through the water, sneaking up on intelligently fast prey like seals. Coupled with the fact that they can grow upwards of 20' and have large gapping mouths that can inhale prey and cut into smaller pieces with unique circular cutting teeth. Giving them cause for extreme respect such as the larger sharks like Tigers and Whites. But few interactions have happened between Sleeper Sharks with the presence of divers largely because humans do not dive in sub polar waters in large numbers or at many locations, leaving us to step into the unknown. 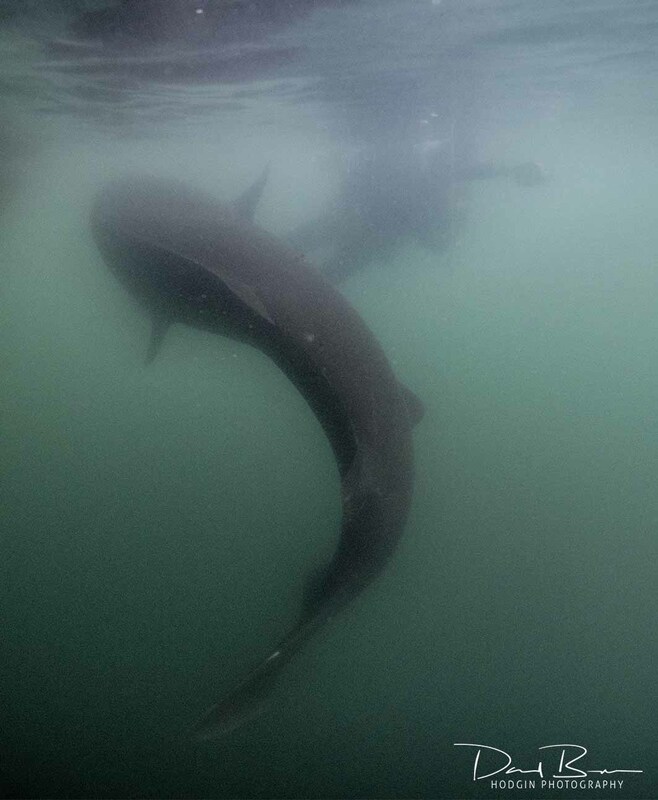 There are documented cases of divers interacting with Greenland sharks in Canada that have shown interest in stalking and buzzing divers as a prey item but there have also been accounts that the shark was non aggressive, lethargic, sluggish and shy. Leaving the shark to be well.. unpredictable to say the least. These type of sharks are found throughout the world but at extreme deep depths. Towards the polar destinations, they have been known to frequent shallow water to hunt, but mostly under the cover of night. Over the last few years we have seen an influx in sleeper shark numbers gravitating to shallower waters during the summer. I believe they have allows been there feeding on prey items but something has changed their feeding habit that may include temperture differences in the water column as the water becomes warmer. Which would lead you to think they would travel deeper to colder water. Because of many unknowns, we commisioned a shark cage be built to give us a great deal of safety when trying to dive with these fish. Just like developing our Salmon Shark tour over years of study and observation, we are doing the same with Sleeper Sharks. Trying different techniqus and chipping away to better understand how to interect with them. We're still trying to pioneer this tour with learning how to get diver interactions on a regular basis. Check in with us to see how the progression of this new and exciting trip is developing.